To fulfill the promise of Emmanuel, God had to be born of woman. But God could have been born in a palace instead of a cave. This is what we would expect. God could have been born into the prosperity of billionaires, into the privilege of power-brokers. Isn’t that where kings come from? Not in the gospel story. If this is God…thus is God. God is the Almighty who chooses absolute vulnerability. God is the Divine Sovereign who accepts human limitation. God is the Ultimate Transcendence who joins in human suffering. God is the rightful Monarch who becomes a displaced refugee. God is the Infinite who empties himself. God is the God who becomes human. God is the God who becomes common. God is the God who becomes poor. When we look at Jesus born in a cave in Bethlehem, fleeing a maniacal despot into Egypt, toiling as a common laborer in Nazareth, we have to say: If this is God…thus is God. And that forces us to rethink most of our assumptions about power, greatness, and the way the world is arranged. Yes, Jesus was announced as a king by the angels and adored as a king by the magi, but we should recognize this as part of the divine irony of the gospel story. Jesus is a paradoxical king who was born in a stable, not in a palace; who was crowned with thorns, not with gold; who reigns from a Roman cross, not from an oval office. The King of Kings turns out to be a very counterintuitive kind of king. The kingdom of God is revealed as utterly unlike the empires of Egypt, Babylon, and Rome. When Jesus’ disciples were jockeying for positions of power in the coming administration of Messiah, Jesus had to explain to them that his kingdom would be radically different from the superpowers they had known. 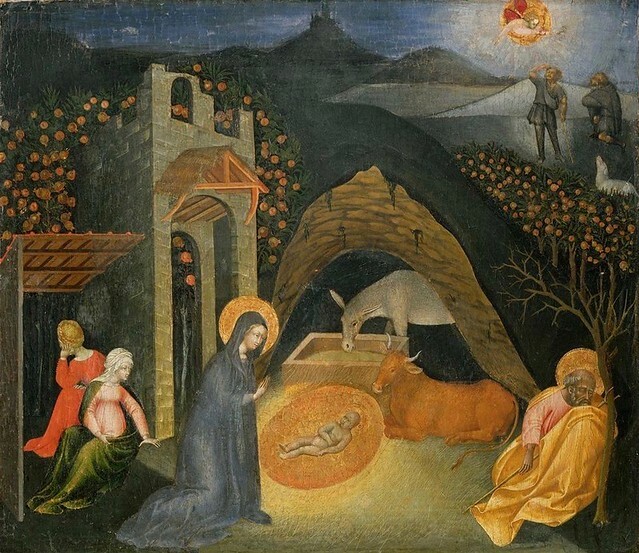 By the time Jesus was born in a Bethlehem cave, most of humanity had long ago moved beyond dwelling in caves. But since Christ gives the world a new start, perhaps it was fitting for the new Adam to be born in a cave. And though it might be pushing the subterranean metaphor a bit too far, I like to think that on that first Christmas night an underground movement was launched in Bethlehem that was destined to subvert and uproot the principalities and powers. No wonder Herod was so nervous. The old king had one foot in the grave and his dynasty was headed for an ignoble end, while the new king whose kingdom will never end was wrapped in swaddling clothes, lying in a manger. The magi read the birth of the King of the Jews in the stars, but the king himself was born in a cave. It had to be that way. For in the kingdom of Christ greatness is not achieved by reaching for the stars, but by love’s willing descent into lowliness, meekness, and humility.